Maybe words can hurt you as much as sticks and stones: Romantic rejection, at least, causes physical pain, according to a new study of brain activity. Past studies have shown that simulated social rejection may be connected to a network of brain regions that processes the meaning of pain but not the sensory experience itself. Now MRI brain scans of people jilted in real life show "activation in brain areas that are actually tied to the feeling of pain," said study co-author Edward Smith, a psychologist at Columbia University in New York City. Smith and colleagues recruited 40 participants via flyers posted around Manhattan and through Facebook and Craigslist advertisements. All the volunteers reported going through an "unwanted romantic relationship breakup" within the past six months. When they did so, the parts of their brains that manage physical pain—the secondary somatosensory cortex and the dorsal posterior insula, to be exact—lighted up, according to the study. The study isn't a "true perfect experiment—we couldn't control who had the rejection experience and who didn't," Smith noted. "This is true of any study that takes advantage of an activity that happened outside of the laboratory," he said. "There's always the possibility that there's [some unknown element] about these people who were rejected that was causing the special pattern of what we're seeing." Yet the results are striking, Smith said, especially because the team analyzed 150 other brain-scan experiments on negative emotions—fear, anxiety, anger, sadness—and found that none of these emotionally painful experiences activate the brain's physical sensory areas in the same way as an undesired breakup. "There may be something special about rejection." 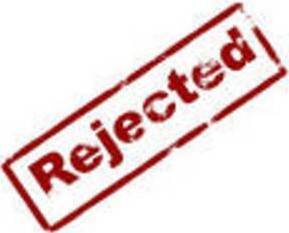 The painful-rejection study appeared this week in the Proceedings of the National Academy of Sciences.